In this LAB, I will be sharing with us on how to configure redistribution between eigrp and RIP using the Cisco Packet Tracer. Redistribution is of course, one of the advanced skills you need as a Cisco network engineer. That is why Cisco actually saved the topic for the CCNP series. Well, before I proceed with the configuration for this lab, let’s look a scenario where redistribution may be required. Assuming your company whose network is built on eigrp (well, becuase you have all Cisco routers), has recently acquired another company whose network is driven by RIP, (because they could not afford all Cisco routers), as the network administrator, you have been tasked with harmonizing both companies’ networks and ensure there is reachability across all nodes. At this point, what options do you have? (i) Run OSPF across both networks. This will involve configuration changes across all network devices and might take a while to accomplish. Depending on the network devices on the newly acquired company’s network, running OSPF is processor-intensive and could adversely affect performance if the routers are not of high quality. (ii) The best option available here is redistribution. With redistribution, no purchases will be made, plus minimal configuration changes will be required to get things working. All that will be required is re-addressing, where applicable, and implementation of redistribution between eigrp and rip on the border router connecting both networks. Since I alread have labs for eigrp and RIP, I will connect both labs to gether and implement redistribution between eigrp and rip to achieve full connectivity among all connected network devices. 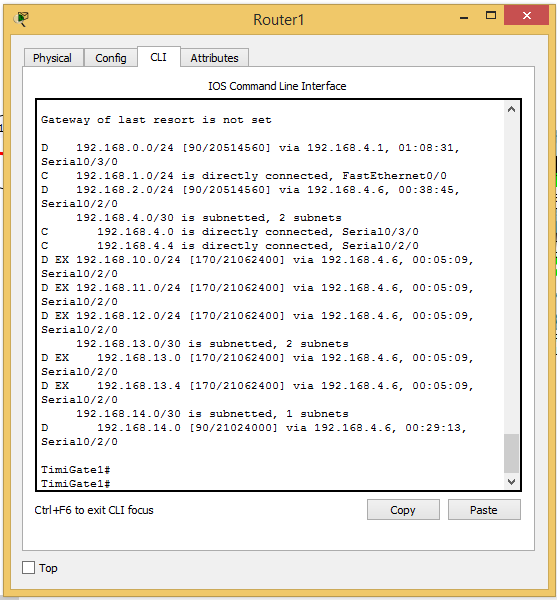 Both companies’ networks are connected over a wide area network connection on network 192.168.14.0/30. Routers 2 and 3 will run eigrp 25 while redistribution will be done on Router3 since it’s the border router between eigrp 25 and RIP. Let’s look at the routing table of Router1 and Router4 before redistrution to be sure we are not learning external routes. Shows we are learning only eigrp routes. No RIP routes. Router4 is learning only RIP routes. 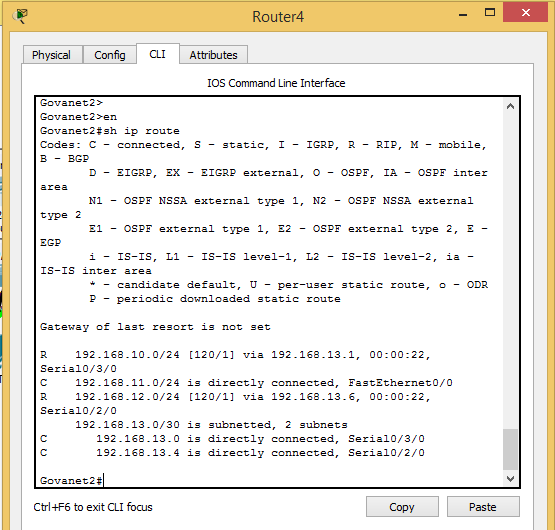 Now, lets configure redistribution between eigrp and RIP on router3 and then check again to see what the routing tables of router1 and router4 will look like. The redistribution command is simple. 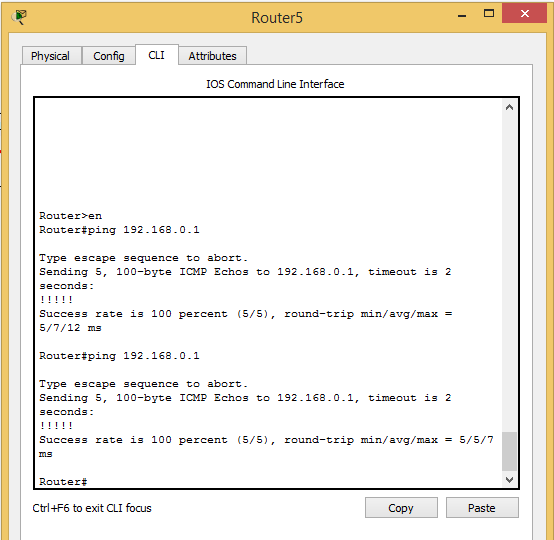 First, ensure the router is running both routing protocols (eigrp and RIP), then enter the commands similar to the ones below to redistribute between both routing protocols. 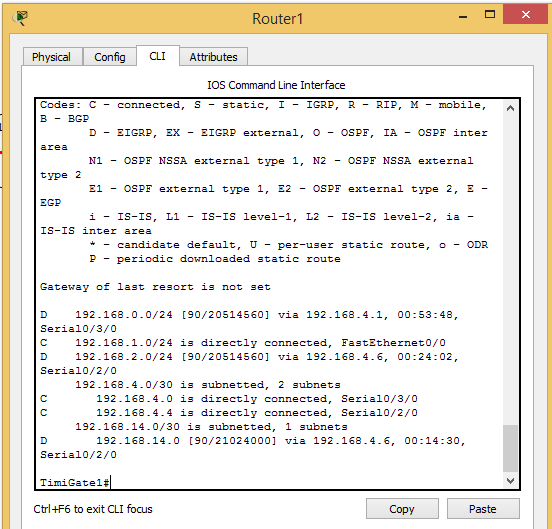 Router1’s routing table looks different as RIP routes are now coming into eigrp and are marked as external eigrp routes (EX). On Router4, we can see that eigrp routes are being redistributed into RIP. With this, our job is done. 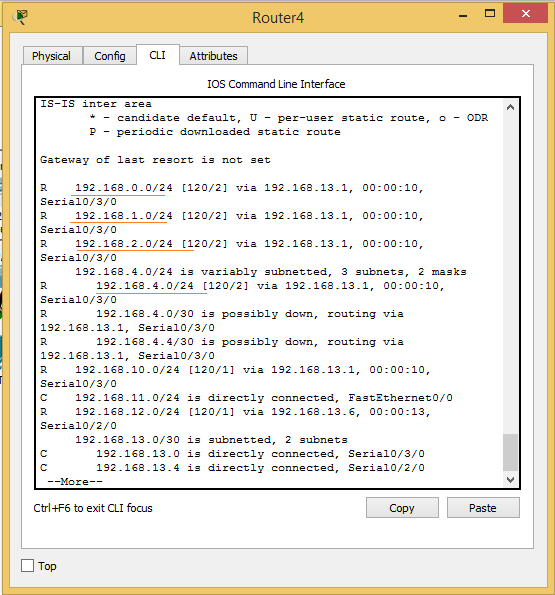 A ping test from Router5 to Router0’s f0/0 interface, if successful, will confirm that all is fine. See ping result below. Can you please share this lab? and other lab you have please.